Amy just relocated from Chicago to Palatine. She graduated from Barat College in 1999 with a major in Dance Movement Therapy. After college, Amy danced professionally with the Chicago modern dance company, Same Planet, Different World. Amy is a 500 hour RYT Yoga Instructor with a certification from The Temple of Kriya Yoga. She has been practicing yoga for 20 years and has been teaching for 15 years. Amy has experience teaching large groups, individuals, couples, and pregnant women in studios, gyms, corporate offices and private homes. Amy is also a certified Pilates Instructor, a certified Thai Bodyworker and a NCBTMB Licensed Massage Therapist. She truly believes in the power of yoga to address the whole being- mind, body and spirit. 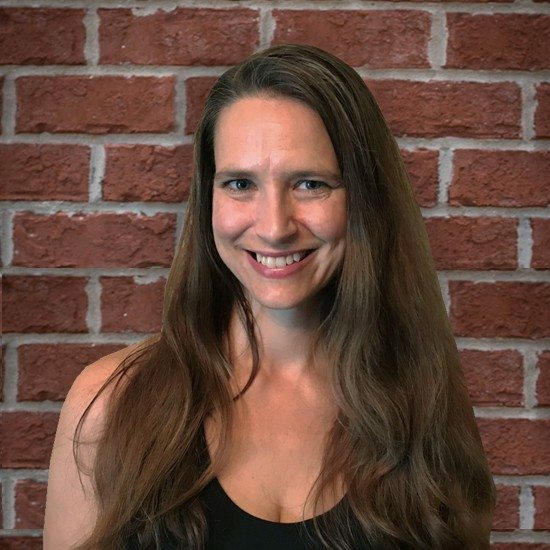 Amy enjoys bringing her multi-dimensional experience and education to her classes in order to assist students in finding peace and health through their yoga practice; no matter the student’s ability and/or experience.